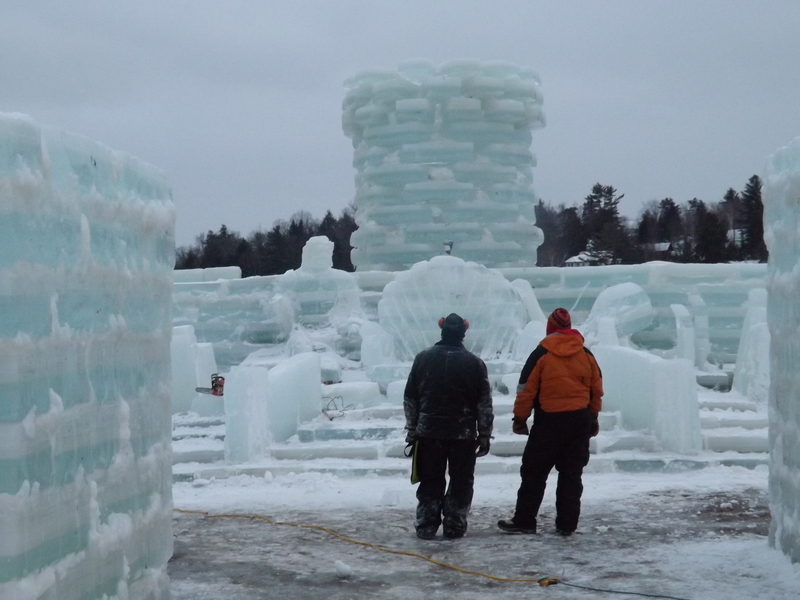 Last night I went late in the afternoon with my Saranac Lake guide, local artist Sandra Hildreth, as the temps were dropping from a high of 14° to see the work on the ice palace. After the horror of the Thursday meltdown, in which temps hit the low 50s and things began to melt, volunteers were happily working to cut out ice blocks and assemble them once again for the big night….which is tonight. 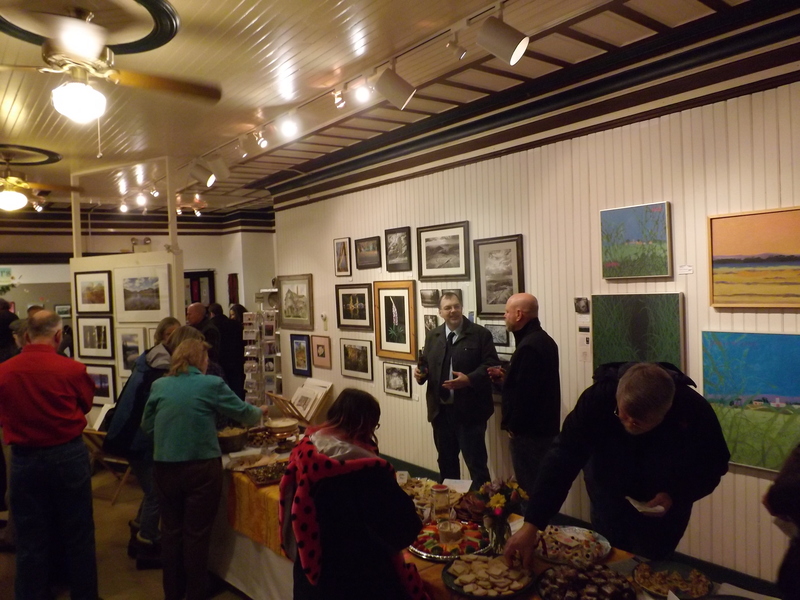 Then I went to 4 art openings in a row, followed by a coronation, where another of my favorite artists, Tim Fortune (of Small Fortune Studios, he reminded us) was stepping down as last year’s king. He made a warmly eloquent speech to a packed audience last night at Town Hall. The new Court were presented and the new King and Queen were crowned. Having been there, I don’t think it could be topped, so I will not be attending when Prince William is crowned. Today we’re headed out for the curling exhibition by the Ice Palace, the woodsman’s chopping exhibition, and the ladies’ fry pan toss. I love this place. It’s like stepping back a hundred years to when people knew each other’s names and towns had personalities. Saranac Lake has a huge personality—and a huge heart—and I’ll be writing about it this week, right up to the closing ceremonies next Sunday, February 10th. Tonight, there will be fireworks at the Ice Palace! © Arts Enclave, 2013. All photos property of Arts Enclave–all rights reserved.